A firm, smooth facial appearance is the key to a youthful complexion. As we age, facial tissues become weak and wrinkles begin to form. Our forehead and eyebrows can actually give away our age more than other facial areas. When fine lines and wrinkles develop on your forehead and between your brows, you may begin to appear chronically angry, sad, or fatigued. This becomes especially frustrating when you don’t feel what your appearance is reflecting. Dr. Dubrow performs brow lift surgery on patients with forehead wrinkles, furrowed brow lines, and drooping brows. Rejuvenating the area above the eyes can restore a brighter, more youthful facial appearance. Living an expressive life can have unwanted effects on your skin. Wrinkles commonly develop on the forehead and between the eyes. If non-surgical treatments don’t provide you with the extensive correction you may require, a brow lift can help you achieve a more dramatic result. Erasing forehead lines and wrinkles produces a smoother and firmer complexion. Aging causes the skin and muscles of our faces to become weak. Over time, your brows may begin to droop down and cover your eyelids. This can cause you to appear constantly angry, sad, or tired. In severe cases, heavy brows can begin to obstruct your vision. Tightening sagging brows can restore a brighter, more alert appearance. Smoothing the upper portion of your face and restoring firmness can erase years from your complexion. Many men and women feel that their aging face prevents them from feeling comfortable and confident in their appearance. Dr. Dubrow’s brow lift techniques yield natural, anti-aging results that leave you looking and feeling younger than ever. During the traditional brow lift, Dr. Dubrow creates an incision hidden in the hairline at the top of your head. The skin of the forehead is separated from the underlying muscular structure. Muscles and tissue are repositioned for a firmer appearance, and then your incisions are closed. During an endoscopic brow lift, Dr. Dubrow uses an endoscope (a thin tube with a small camera attached) to view and reposition the underlying structures of your face. Short incisions placed around the scalp provide access to adjust and sculpt your facial tissues and muscles. Men and women over the age of 40 who suffer from wrinkles on the forehead or sagging brows may be candidates. People considering a brow lift should be in good health and have realistic expectations about their results. What type of anesthesia will be used during my brow lift? Local anesthesia or general anesthesia may be used. The type of anesthesia used will depend on the extent of correction needed and your personal preference. Both options will provide a safe and painless procedure. How will I feel following my brow lift surgery? You will experience some bruising, swelling, and redness following your procedure. Your forehead will be bandaged and wrapped to reduce swelling. You should rest with your head elevated and limit your physical activities during the week following your surgery. How long will my recovery take to complete? Every patient heals at a different rate. On average, most patients return to work and their regular activities after one week. Strenuous exercise should be avoided for three to four weeks following your procedure. After six weeks, most major swelling should begin to subside and your final results should be apparent. What should I do if I also have visible signs of aging in other parts of my face? It is common for patients to show signs of aging in more than one localized area. Many people choose to combine other facial procedures with their brow lift for overall facial rejuvenation. Common procedures combined with a brow lift include a facelift and/or blepharoplasty. How long will the results of my brow lift last? Brow lift surgery provides long-lasting correction to the upper face. However, the procedure cannot prevent additional aging from occurring. Most patients feel that their results last them many years. Can I prolong the results of my brow lift? Taking care of your skin can help prolong your brow lift results. Avoid direct sun exposure. Many patients choose to undergo routine non-surgical treatments to extend the life of their results. 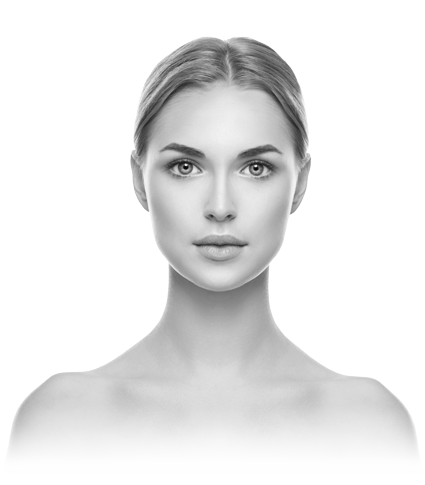 Common non-surgical treatments include BOTOX® Cosmetic and laser skin resurfacing.